HÀ NỘI — Singer Hà Lê has revealed his newest project – to bring a breath of fresh air to the music of great Vietnamese composer Trịnh Công Sơn, and rap may be on the cards. Entitled ‘Trịnh Contemporary’, the project will include an album covering Trịnh’s music and a musical featuring his music. While the album is expected to be released in September, the musical will be staged by the end of this year. “My wish is to bring a new and fresh appearance to his [Trịnh Công Sơn] immortal melodies while still maintaining the pureness of lyrics,” said the singer, who is also a hip hop dancer and choreographer. 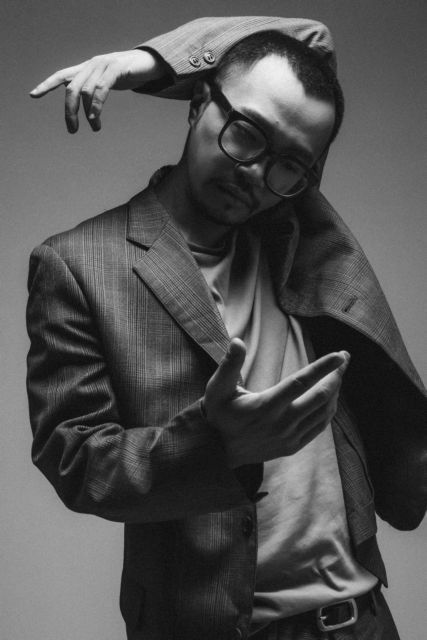 Hà Lê’s announcement was not welcomed by all, with many wondering if there is any connection between rap and the tender music of Trịnh Công Sơn. In response to these concerns, the singer said: “When I was a child, I started to listen to Trịnh’s music because my grandmother and my mother are his fans. It can be said his music has been absorbed into my veins and body. “When I matured, I’ve found many of his songs reflecting my own personality and inner thoughts. However, until now, having experienced many ups and downs, I’m finally able to understand the philosophy hidden in his lyrics, that is the reason urging me to start the project,” the 35-year-old said. “In addition, his music has more room for our young generation to develop our creativeness,” he added. Hà Lê said that ‘Trịnh Contemporary’ is an opportunity for him to explore himself in music. According to Hà Lê, the project will include not only covers of songs by Trịnh Công Sơn, but also other contemporary art forms. “To conduct this experimental project, I want to comprise different art forms such as music, cinematography, musical, dance, performance and photography. I don’t know if the result will be good or bad but it should be completely new and unique,” he said. He also said that his project will get artists working in different art forms related to Trịnh’s music. At the end of 2017, when he competed in a TV music game show, Hà Lê surprised the TV audience by singing Hạ Trắng (White Summer) – a famous song by Trịnh Công Sơn. A year later, he stoked more controversy be releasing a music video featuring one of Trịnh’s most famous songs, Diễm Xưa (Diễm, My Cherished Old Flame). In the video, the singer performs the song in a new arrangement, with contemporary dancing as well. “I received many rude comments after I released both music videos Hạ Trắng and Diễm Xưa. I was very upset but then I realised that is was always going to happen. For many fans of Trịnh’s music, it’s hard for them to accept the ‘breakthrough’. Anyway, those comments helped me to understand more about Trịnh’s music,” Hà Lê said. In next few weeks, the singer is scheduled to release his latest music video Mưa Hồng (Pink Rain) one of Trịnh Công Sơn’s most popular songs, which features a duet with emerging singer Bùi Lan Hương. The duo is accompanied by monochord musician Quang Hưng. Born in 1984, Hà Lê is a former financial mathematics graduate of Nottingham Trent University in the UK. Having a great interest in hip hop, together with two other friends, Hà Lê formed a hip hop dance group, which then turned into a company specialising in hip hop teaching and performing.